Just the day before yesterday we informed you that the game's developers announced the exclusive PS3 edition of the project and demonstrated its new trailer, and today we’d like to tell you fresh Batman: Arkham Origins news. 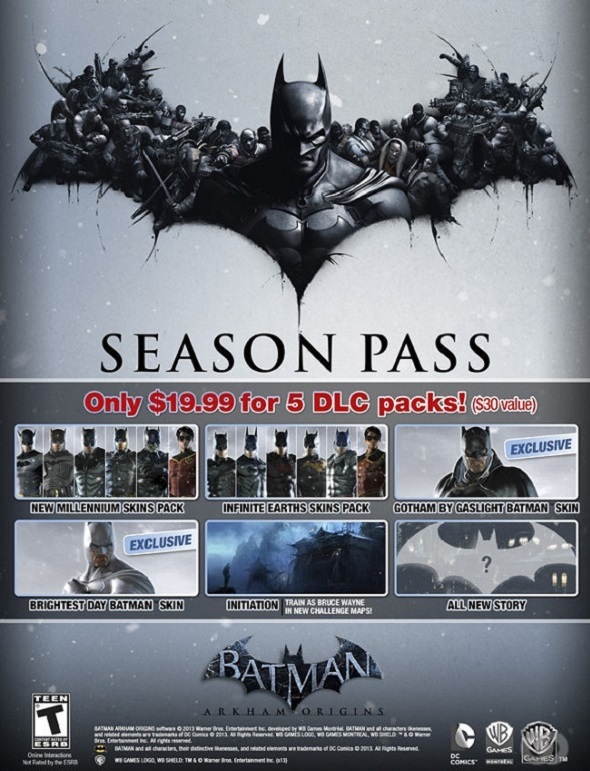 So, yesterday Warner Bros. Games announced that Batman: Arkham Origins game got a Season Pass, which costs $19.99. According to the official information, this Season Pass will come simultaneously with the game’s release, that is scheduled for October 25, 2013. - new story campaign "Arkham Origins Initiation", in which you will play the role of Bruce Wayne before he became Batman. - new additional bonus content, the information of which the developers have promised to reveal a bit later. Batman: Arkham Origins game will come for PS3, Wii U, Xbox 360 and PC.